The Flite Test Simple Storch is a fun and relaxing flyer for new and experienced pilots alike. 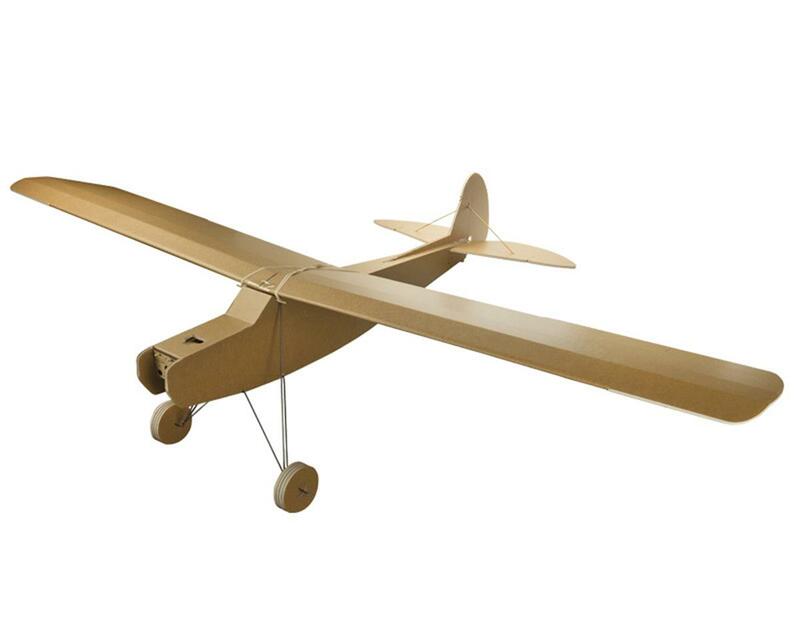 It is a 4 channel plane with the options of flaps, flaperons, and even leading edge slats just like the full scale Storch! With it's wide speed envelope and stol capabilities this is truly a park flyer. Here's the deal. I'm an amateur, like, super-green amateur. I'm grateful I bought this RC plane. Because in suffering through the build process (and I mean SUFFERING) I learned a ton about RC planes. But MAN this could be a little easier... The Simple Storch build video is 5 years old. The kit they send is clearly not the same kit they use in the video. I didn't receive all the parts they had in the video. For example, I had to construct my own landing spar because no rod was included. The servos are different. The servo extensions aren't long enough. The motor is different. The battery is different. There was no paint stick included (for the wing spar). Some of the cuts weren't the same. The list goes on and on and on. In fact, I think more on this plane was DIFFERENT than similar from the video. Also, the video skips steps - prompting the builder to have to guess, break, or give up on their build. I did all three at various points. I'm still trying to repair. It's been an entire month, and I haven't been able to fly yet. Last thing: Nowhere on this site or the videos is there any GOOD explanation on how to match a transmitter and receiver with this model. I spent an hour trying to figure it out on my own, ended up frying a receiver, had to get another one, and finally managed to get lucky and make it all work - no thanks to Flite test. Overall, glad I bought it... I think. Part of me wishes I had just bought a ready-to-fly airplane that ends up being cheaper anyway, after purchasing a receiver, transmitter, landing gear, paint, tape, more velcro, paint mixer, glue, etc. etc. etc. It would have saved me probably 15 hours of my life + the giant headache of navigating your way (by yourself in some cases) through the build. Pretty disappointing. - the tutorial for building it is spread across two videos (one for the power pack, one for the airplane) and they often conflict. For instance, the power pod video tells you to put landing gear on the pod, but the airplane video tells you to attach them directly to the fuselage. So you kinda have to watch both all the way through before building anything just so you know what parts to listen to and what parts to disregard. It took a LOT of time and that was frustrating. Went together well, one of the harder ones to build. The size makes it akward to build on anything other than an eight foot table. Nice options for wing setup, trying the flaperons on this one. Without the y harness the plugs are very short under the wings with the power pack. The landing gear wire is plain awful to deal with, ended up gluing it to the bottom of plane instead of the cutouts, we'll see how long it lasts. If you want a big plane that's good for starters get this one, gonna try the bush whacker next. Again other than the landing gear the plane is good and also big! Have a vise or vise grips handy for sure! While this is a beautiful kit and the plane fits together well, trying to fit the landing gear has been an extremely painful and frustrating affair. I special ordered heavy duty pliers, but this hardened steel is too much! I want to chuck this whole project because nothing I can physically do will get those f’ing rods to line up. My son bought this for me, It is the first plane that I have flown and landed in one piece. Im going to share what I have learned about it so others can use the info if they choose, 1 ditch the 10x4.7 slow fly props that come with it and get the apc 10x5e props, 2 if you can do it put a rudder/aileron mix it will turn much nicer than yank and bank. 3 the 2200 mah batteries only give about an 8 to 10 min flight, my son runs a turnigy 5000 mah battery and flies twice as long with a g10 motor and a 10x7 prop. I am going to start running 2 2200mah batteries in parallel for longer flights. It is a great plane and I will be flying it for a long time. Excellent aircaft. Wonderful speed envelop as well. Will be flyimg this for a long time. Excellent job flite test.